Kids are always on the go. They are always looking for excitement and new technological based toys to play with. One of the newest options that are available are the electric scooters. Often though, it is difficult for parents to figure out which type is truly the best option for their child and which ones are the most affordable. 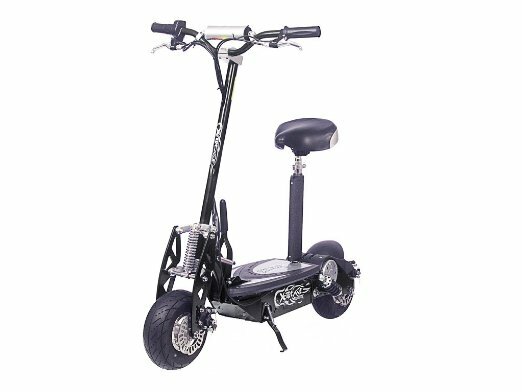 If you are trying to figure it out, here are some of the best cheap electric scooters for kids. When it comes to electric scooters, you have a large variety of choices. It is a market that continues to grow daily, it seems. However, not all of these “electric scooters” are good for all kids. Some are designed for older children and adults. 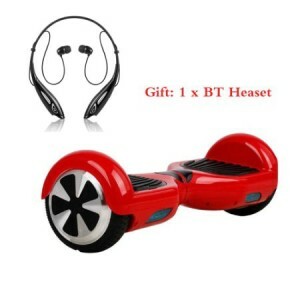 This includes the self-balancing boards and drift boards that are available. They may look like an exciting toy for young children, but this does not mean that your child can handle it. When it comes to operating a self-balance board or something similar, young kids are often unable to ride it safely. The self-balance part of it makes parents feel safe about it, but the way they are used is not easy for a young child. To ride, you have to make very slight adjustments to the way that you stand on the board. This means you lean slightly forward to go forward. There are no handlebars to hold onto and younger children are unable to make small adjustments to their stance. If they lean too far forward or backward, they may fall off of the drifting board. There are also a lot of these boards that are heavy and often when the battery dies, it dies suddenly. This is an issue for many adults and teens because when the battery dies, the board will suddenly stop and you run the risk of falling. To help, these boards have battery lights to show you when the battery is getting low, but most young children may miss this very subtle signal that danger is coming their way. Many parents who have children that want balance boards choose electric scooters instead. 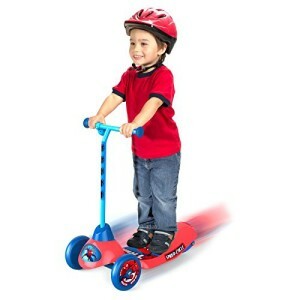 The cheap 50cc scooters that are available today do not require as much balance which makes it easier for small kids to avoid the road rash that may come along with a balance board mishap. Why not have a look for yourself to find out about the safer options for younger children? With all of the personal transportation options available on today’s market, there are a lot of ways for kids, and adults, to entertain themselves. Thanks to the introduction of smart balance boards and scooters of all types, people are beginning to remember those days once-upon-a-time when the biggest thrill was riding around in a go kart. They were expensive toys for most kids, but they were a lot of fun for the entire neighborhood! Now, luckily, because of the other transportation options available, there are a lot of cheap go karts for sale. You simply have to decide how many wheels you want for your newest toys. One of the biggest things you must consider when discovering how are go karts different than smart balance boards or gas powered scooters is obviously going to be safety. Smart balance boards are safe as long as you are able to balance yourself, but you do have to pay attention to battery life because many will suddenly stop when the battery runs out. Scooters are easier, especially when gas powered, but if you are unable to balance yourself and there are no seat or handlebars, you could easily tip over. 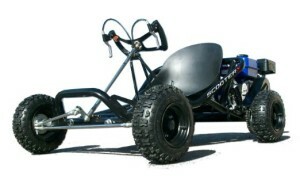 A go kart, is better for people with balance issues along with those who just want the old school style of a go kart. A go cart, in some cases, can go several miles per hour. However, most often go carts are not considered, “street legal”. They are designed as vehicles to be used around your home and in your yard, or for traveling through the woods around your house. With a gas powered scooter or a self-balance board, you can ride down sidewalks or in bicycle lanes. Some gas powered scooters are considered street legal, meaning that you drive along the same as other vehicles. The best way to find out what is legal or not is to check with your state’s requirements and laws regarding go karts and scooters. Every states is different. How Much are Go Karts? 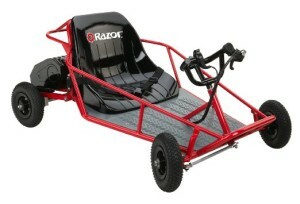 When looking for go karts for sale, cheap, you will notice that you have a lot of options. There are many manufactures and certain features will cost you more than others. If you are comparing a go kart to a self-balance board or gas powered scooter, you will find that some go karts are about the same price as the cheaper balance board, but some can be a lot more expensive. 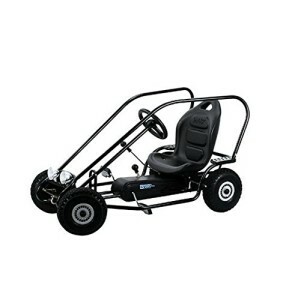 If you are committed to a go kart, your best option may be to search for go karts for sale cheap used. To give you a better idea of the go karts that are available today, and their prices, you should check out the reviews below. This may help you decide on the features you want and which features you feel are affordable. 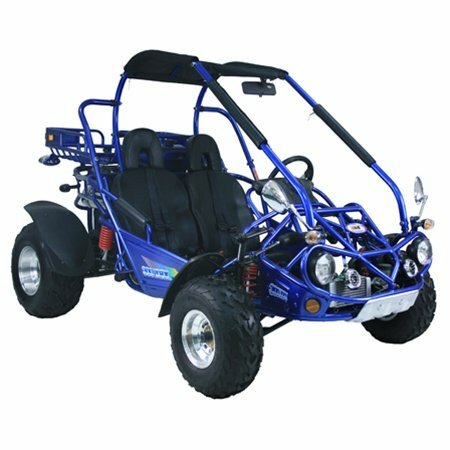 This is a great dune buggy for kids for kids 8 and up. 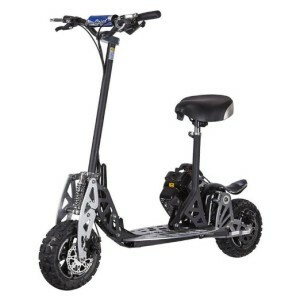 It has an electric motor that can reach up to 10 mph and supports up to 120 pounds on its four 8” tires. It has a seatbelt, padded seat, and a solid steel frame to protect the driver. It is also reasonably priced at about $300 USD. This is a high end go kart that has reverse. It is a two seater, meaning that you and a friend can both ride. It has electric brakes, a max speed of 38mph, the ability to hold up to 723 pounds, and it runs off regular gas. It has a solid steel frame and roll bars to protect the riders. 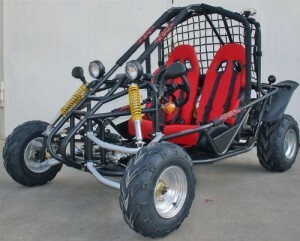 However, it is more expensive than some of the other go karts available at nearly $2000 USD. When it comes to choosing a gas powered scooter over electric, you will find a variety of reasons to consider one over the others. However, most commonly the decision is made based on convenience, power, run time, and price. Power: Often if you choose gas scooters for adults, you will discover that they have more power in their motor compared to electric smart scooters. Many gas powered scooters can travel up to 35 mph, whereas an electric scooter is typically slower. 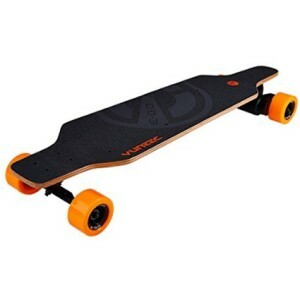 However, there are some electric skateboards that can be just as fast, but it does come with a higher price. Run Time: The gas powered scooters for adults that are available today are often able to travel 20+ miles on a single tank of gas. With most electric scooters you have to consider the terrain you are traveling on, how much you weigh, amongst other aspects to figure out how long you will be able to ride. In general most people say about 40 minutes on a single charge. 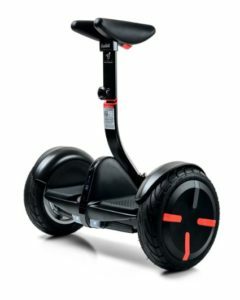 Price: There are a lot of cheap gas scooters for sale, but if you are looking to get one new, you can still expect to pay around $500-$600 USD, even if you want a higher end gas powered scooter. With an electric scooter, you could easily pay a lot less. However, most choices are made based on individual needs, and whether that extra power is worth the extra dollars. Which Is More Durable, Gas Or Electric? Gas powered motors generally take a little more maintenance to keep them running in top condition. With that little extra effort though, it can take you further and last you for many years. An electric powered scooter can also be a dependable source of transportation and enjoyment, but you have to worry about whether the battery will outlast the motor. To help you see what is available in both gas powered and electric scooters, here are a few of the more popular picks. They each have features that most enjoy at a price that is affordable for anyone who wants a gas powered scooter. When traveling around on campus or in your neighborhood, running a short errand, or traveling just a few miles to work, you have a few different choices. In the past, you could walk, drive your car, ride a bicycle, or use public transportation. Now, there is a perhaps a better way to travel. It eliminates the need to walk, is not as tiring as riding a bicycle, and will not pollute the air you breathe like vehicles. The newest travel options are scooters. 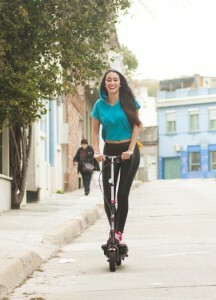 There are self-balancing boards, one wheeled smart boards, and the easier to use option, a foldable electric scooter. Would you enjoy traveling via this fun alternative to everyday travel? What’s the Difference Between Foldable Electric Scooters & Standard? 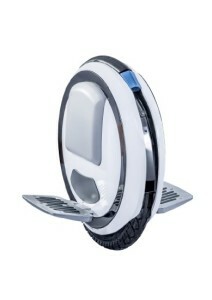 A one wheeled smart board is a balance board that has only one wheel in between two pedals that you stand on. The self-balancing boards have two wheels, one on each end of where you stand. If you are uncomfortable with the idea of standing on a single wheel, you are not alone. For many people, having two wheels to balance on makes them feel more at ease, even though they are both operated by the rider shifting their weight slightly to go forward, backward, and to turn corners. 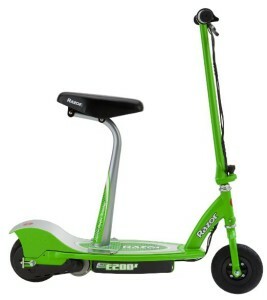 The foldable electric scooter is different. With them, you stand on a longer board in a skateboarding position. You have a handlebar to hold onto and you control it by conventional steering. There is a handbrake on the handlebars giving you the ability to stop quickly. There are some that require you to kick off in order to get going forward, with others all you have to do is step on and go. The handlebars fold down for easy storage when not in use, which means you can still take it into class or to the office with you if you are using it to get to and from these areas. It also makes it easier for you to find a place to charge inside of your home. Which Is Best for You Foldable or Not? For most people, it is personal preference that guides them in their choice on whether to own a self-balancing scooter or an electric scooter foldable transportation device. If you do not have a personal preference for it, perhaps you would like to see what options are available. 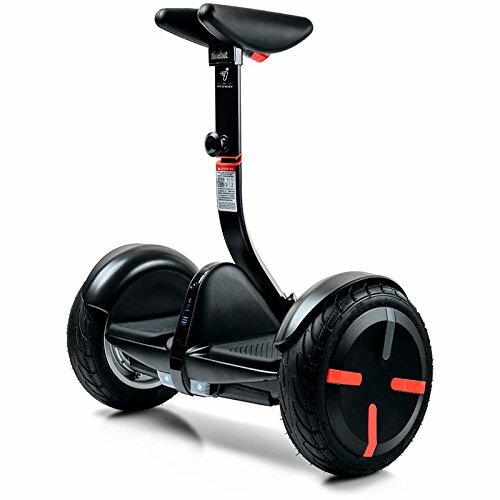 The number one selling self-balancing scooter is the HooverBoost HoverBoard 2015. It is made of METAI Alloy and it weighs only 27 pounds. It has the ability to climb inclines that are up to 15 degrees and can turn instantly around corners. It can run at about 10mph depending on your weight and the terrain you are riding on. The maximum weight limit for it is 265 pounds and on a full charge you should be able to travel 9-10 miles. Most people say that it is easy to learn and great for people of all ages. Due to the fact that all foldable scooters are different, you can learn more about how they compare to the HoverBoost HoverBoard by reading the following reviews. In recent, there is a lot of excitement over the idea of hover boards, though it is a concept that has been dreamed about for many years. Each day it becomes more and more possible. 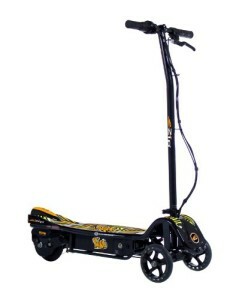 However, mostly the only ones that are available on the open market are dual or single wheeled scooters, such as the EROVER and the AirWheel X8. Do you know the difference between a mini Segway scooter vs Mini Hoverboard? If not, you may be getting something you do not necessarily want. People often get confused when discussing Mini Segway scooters and Mini Hover boards. They may be talking about one thing, but thinking about something else completely. They are practically the same thing and neither of them provide the same amount of thrill as the Lexus “Amazing in Motion” hoverboard, which uses air power to keep the rider slightly above the ground. The Lexus hoverboard is a very much anticipated board that has not yet been put into full production. This means, that until then, you must consider one of the other, more affordable and accessible options. The simple truth is, there is very little difference nowadays between a Mini Segway and a Mini Hoverboard. There are just a lot of generic name brands and spin offs of the Segway human transporter, which first became the closest thing we had to a hoverboard, but it had handlebars that would come up from the base to about waist high. The Mini Segway scooter was at one time called a self-balancing scooter. It does not have handlebars to hold on to. You have to rely on your ability to stand up straight enough for the board to balance out. Many people feel it is a smarter way to travel faster to and from work or school. They key is that you control it using your body. A hoverboard looks the same and works in the same way, at this time, unless you choose a one wheel option. By having only one wheel instead of two, you do have to work a little harder at balancing and you will feel more like you are on the Lexus hoverboard. Either way, no matter which type of self-balancing scooter or hoverboard you choose to consider, everyone who already owns one will tell you that it is a lot of fun to ride. Is A Self Balancing Scooter Affordable Fun? If you live close to your workplace or travel frequently to a friend’s house that is only a short distance away, you have the option to take your vehicle, ride a bike, or walk. Wasting gas for a block or two is not always worth it, riding a bike is effort that most people do not want to deal with, and for many people walking is painfully boringl. That is why there are now scooters available. They are easy to use, rechargeable, and fun. As long as you have a desire to play and an ability to balance, you could be enjoying your time on a single wheel scooter and electric skateboards. Why Choose A One Wheeled Scooter? Many people talk about two wheel scooter vs. one wheeled scooters, but no one really says why one may be better than the other. If you want to get where you are going a little faster, then you may want the one wheeled scooter. The Ninebot, which is a one wheel, self-balancing, electric unicycle for sale can go about 21 mph, whereas the EROVER, a two wheeled scooter, can go about 12.5 mph maximum. 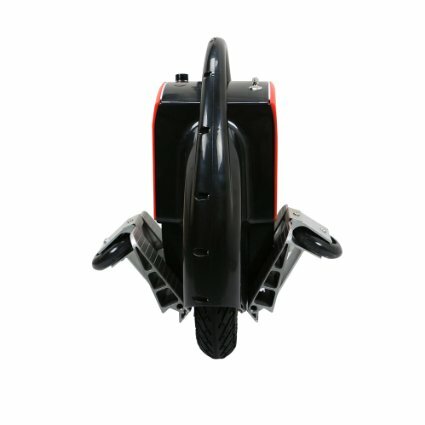 However, the one wheel scooter is heavier than the double. Most double wheeled scooters can travel a longer distance than single wheeled, with single being only 5-6 miles, but both will depend on the terrain you are riding on and how heavy you are. For instance, the Airwheel, New X3 Upgrade is a very popular choice for many, but according to one Airwheel review, a person who is 200 pounds may only be able to ride 4-5 miles. Recharge time is comparable with both and some of them may come with a carrying case, while others do not. Which Is Best for You, Single Wheel or Electric Skateboard? Really, there is no one better option. You simply have to decide which style you would prefer. 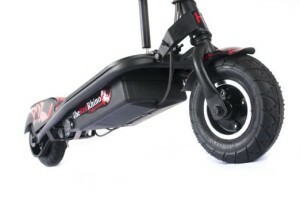 The thing is, if you read through the reviews, you will see that most people do consider the two wheeled scooters easier to ride than the one wheeled skateboard type scooters, even though they are rode basically the same way. It works much the same as a two wheeled bicycle versus a one wheeled unicycle. The idea is the same, but it is harder to balance on one wheel, even though you may still have to pedal with both feet. With a scooter, you have to stand upright and lean in the direction you want to go. For many people, they feel more comfortable having two wheels to lean on rather than a single wheel. A lot of people start out with a two wheel set up and then give a one wheel scooter a try. 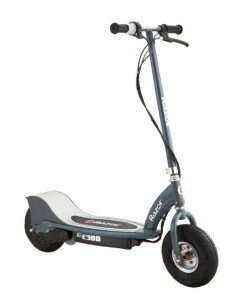 If you know you want the single wheel scooter, there are scooters that come with training wheels, such as the New X3. If you have never given it a try, it is strongly recommended that you first try riding with the training wheels until you are sure you can handle it. You may even want to ride in a very unpopulated area so that you do not risk injury to yourself or others. Safety gear is also recommended if you are new to riding. When it comes to combining fun and easy portability into a single product, the Boosted Dual+2000W is the name on everyone’s lips. It is a scooter. It is a skateboard. It is a hoverboard. No matter what you call it, the fun of it trumps all other types of electronic skateboards. However, with the price tag that is on it, everyone wants to know if it is truly what they have all been waiting for or if it is something they should let pass them by. For that reason, here is a very detailed Boosted electric skateboard review. How Is The Electric Skateboard Different from A Scooter? Electric scooters come in all types. They are all battery powered, rechargeable, devices that are meant to help people get around a little faster than they can walk. 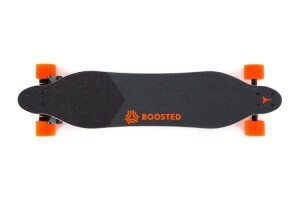 The Boosted Boards skateboards are different. They have the same features, but they are usable as a skateboard as well. This means that they are real skateboard that have a motor. It is more speed, more power, and more fun. It also makes tricks a little more exciting. 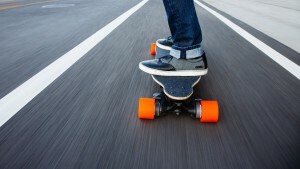 This skateboard is a loaded longboard turned electric vehicle. It is powered by an automotive grade, lithium, rechargeable battery to make every day a little more exciting whether you are running errands, traveling to work, or hanging out with your friends in the park. To take it one step further than the older style of Marbel electric skateboard, this board has mobile connectivity. This puts control of it into your hands because it is not one speed fits all. A skateboarder who is just learning how to ride, the speed can be set to 10mph. As your skills advance, so can your speed. All over the board, there are multiple sensors and three built in microprocessors. This, along with the very powerful motor, provides all the torque that you will need to accelerate while traveling uphill, instead of only downhill. 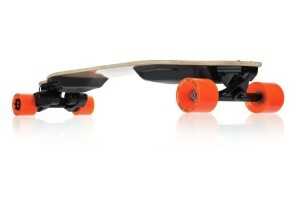 This board is lightweight at only 13.6 pounds and it can travel for up to 7 miles using the battery. This may not sound like a lot of miles for some people, but for most skateboarders it is a sufficient amount of fun. The best part is, according to some users, is the simple fact that it can be slightly charged by you simply turning off the power mode and pushing it with your feet. Without the motor though, there is some added resistance. On average, you can charge a dead battery on this Boosted Boards in about 50 minutes if you use the included charger. If your battery is not completely dead, it will take it less time to get back to a full charge. The deck is made of Loaded Vanguard, flexible, bamboo so that you can enjoy carving more. The wheels are Orangatang in Heat. Each board is tested thoroughly before it leaves the warehouse because of the fact that Boosted Boards are committed to giving skaters a great riding experience. When it comes to finding an electric skateboard for sale, it is important to also consider safety gear. This is a powered skateboard and you would not want to end up getting hurt, especially if you are new to skateboarding. You also need to take time to learn how to skate before you take it out on the road. The learner level is not something you miss out on because you are likely to get hurt if you are not careful. 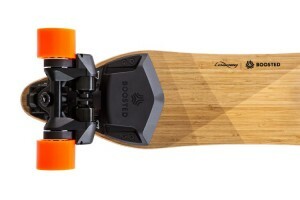 Is the Electric Skateboard Seen On Kickstarter Worth It? There are different types of scooters, different sizes, one wheel or two wheels, electric, non-electric, kid friendly, and adult friendly. Which one is right for you and why? This is a question that every potential scooter owner will ask at some point. Here is the answer and hopefully a few clues which may allow you to see inside of the scooter world. Why Choose an Electric Scooter for Adults? 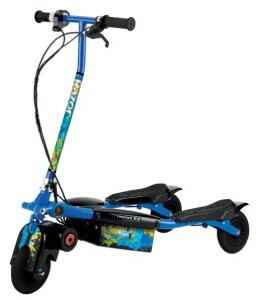 Kid’s scooters may look similar to an adult scooter, but that does not mean that they are the same. In fact, there are many ways that they are different, though the most noticeable is the size difference. 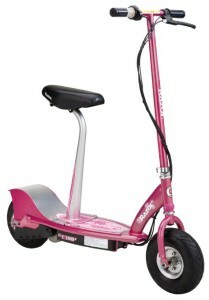 A scooter for kids cannot hold as much weight as the motorized scooter for adults. 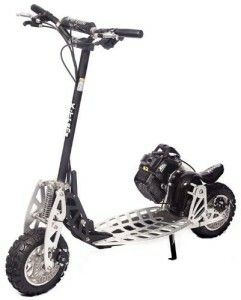 Adult scooters have a stronger frame, even if you are only using a single or dual wheel scooter, the area that you stand on is going to be built of a sturdier metal. The motor is more powerful and they have a battery that works a little longer so that you can go further on it. Adult scooters that have one wheel have a battery that can last at least an hour, but perhaps more, depending on what the road ahead of you may look like. Hills can drain battery powered scooters for adults in less time than flat ground may. In some cases, you have a single scooter that may have a variety of sizes available for you to choose from. The smallest size may have a weight limit of only 150 pounds, which would work for many people. 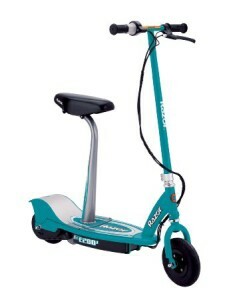 The middle sized scooters may be great for up to 220 pounds and the largest size can hold even more. The larger the scooter size, the better able it will be to travel further and have a battery that lasts longer. Perhaps rather than have you read about scooters, you should take a look at what many people consider to be the best for adults. These scooters are all guaranteed to be fun, whether you are running errands or getting to work while avoiding the car. Which type will you choose? 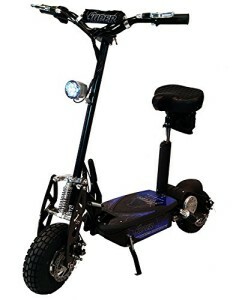 When it comes to scooters for adults, street legal vehicles, Razor is a popular brand. It features a very quiet motor, a twist grip throttle and more torque than most scooters of its type. It can help you travel to your destination at up to 12mph. This is impressive considering a lot of scooters are much slower. The battery is rechargeable and it uses a 24V seal battery system. The controls are on the handles. You can brake in addition to speed up. It does take about 12 hours to charge, but you should not leave it on charge for more than 24 hours. A full battery will last most riders about 40 minutes if they ride continuously. However, this may decrease if you do not maintain the scooter. This drifting board is a self-balancing, standing scooter for adults. It has flashing LED lights so that you can be seen by others, which is great for low lighting situations. It is lightweight at only 20 pounds. It is made of ABS plastic and bump rubbers on the outer shell. This shell houses the motor and the rechargeable battery. At max speed, it can travel about 10mph and on a full battery, it can run about 10 miles without recharging. Operation is also easy because you simply have to step on with both feet and lean in the direction you want to travel.